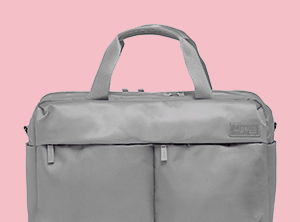 The laptop bailhandle is the perfect companion to any business women wherever they go - resolutely stylish and extremely practical, it becomes a really fast must-have.  Smart sleeve to go over the handle of your suitcase.  Outside zippered pocket and magnetic font closure pocket. 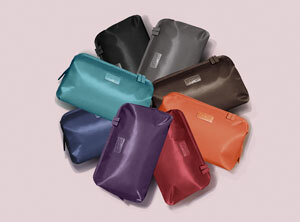  Internal organization with 1 main compartment, 1 zipper pocket and 1 compartment for your laptop. Body Dimensions: 15.0" x 12.3" x 4.6"